Abigail loves her baby Rosie, her husband Thad, and food. She takes great joy and comfort in concocting culinary delights to show the depth of her love and commitment to her family. Imagine her surprise when Thad announces, this whole marriage thing just doesn't work for me. Abigail can't believe he really means what he's said, but he does. Abigail and Rosie move back in to her parents house, where she regresses into her adolescent self. She diets, finds work, and begins to discover the life she really wants, and a man who really wants her. A little bit of chick lit to start off the year! I wanted something lighthearted to kick off 2015, and this new release from Ellen Hawley seemed like just the ticket. Because it's like FOODIE chick lit! And we all know how I feel about food books! WOOT WOOT! Everybody get your elastic-waist pants on and let's do this! Peeps, this book just did not work for me. Beyond the format, I also had some issues with Abigail's narrative. There is very little dialogue from other characters in the book. Abigail generally gives her side of the conversation, but rarely fills in the dialogue of the people she is speaking with. This is insanely annoying, especially at crucial moments (like when Thad breaks up with her--the whole crux of the book!!) because you never get a well-rounded look at the story. I felt entirely disconnected from Abigail's problems for much of the novel, largely because it took me so long to understand why Thad broke it off with her. This could have been easily explained in the very first chapter, if only the narrative was structured differently. This was a pattern throughout the book (I felt similarly about her relationship with her parents, because you so rarely ever hear them speak), and made the connections between characters feel extremely flat and one-sided. Final complaint (with a tiny bit of a spoiler)...I was exasperated by (or as the kids say, SMH at) one of the eventual job offers that Abigail receives. She spends much of the novel putting together a poorly-worded resume...makes fliers for a home business that are written as if a third-grader made them...can't figure out the computer system at her waitressing job...but then suddenly, miraculously, it turns out she can write a pithy, hilarious, well-crafted cooking column for a magazine? I know, I'm really lacing into the book here, but the GIF was too appropriate to not happen. I cannot get behind that. The Dude does not abide. I'm done with the lacerating review, I promise. At it's heart, this book has a good story. I know it. I just don't think it was given the best opportunity to shine. Even though this book was not a win for me, much thanks to Lisa and TLC Book Tours for including me (even though I will likely not be used for publicity purposes here, which I'd say...is quite understandable). Hey, don't just take my word for it. 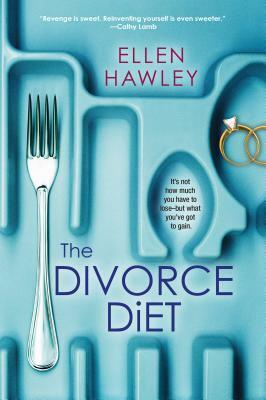 The Divorce Diet has 4 stars on Goodreads, so there must be many that disagree with me! Check out the other blogs on this book tour HERE. 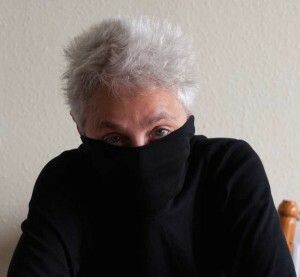 And connect with Ellen Hawley on her blog, website, and Twitter. Thanks! So far my next books have been a big improvement. This happened to me at the beginning of 2014 too. I remember my first book was totally underwhelming, but the next 2-3 were much better. I need to pick better first books for the year! Awww I have a feeling I'd be annoyed by the same things you were. But hey, at least you can only go up from here reading-wise, right? ;) Hope your next read is amazing! Haha, so true!! Been better so far! How disappointing! The premise sounds good to me too, but I think the things that bothered you would bother me too, so I'll be passing on this one. Yeah, the description really made it sound like a good fit for me. Ah well. That kind of humor is hard to sustain through a whole novel. Loved your review, though! Agreed, and glad you liked the review! Any review that quotes The Big Lebowski is a win for me. Loved this review and your honesty. And I'm with you on the beginning of the year blues. So far, it's a bit of a drought, with more misses than hits for me. I hope your year looks up soon! This book was not a good start, but I've been fortunate to have several great reads since then. PHEW.